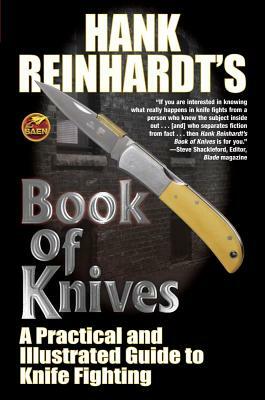 Definitive and compulsively readable for layman and expert alike--an illustrated guide to the use of fighting knives by long-time Blade columnist Hank Reinhardt. Definitive and compulsively-readable--an illustrated guide to the use of contemporary knives by long-time Blade columnist and master weaponsmith, Hank Reinhardt. Deadlier than the club, more ubiquitous than the sword, the knife is the universal edged weapon of all humankind. As our society has grown more advanced, and more reliant on technology, there has been an increased interest in the weapons of the past. Hank Reinhardt was a widely known authority on medieval arms and armor and a long-time columnist for Blade magazine. Unlike many experts, Reinhardt insisted on actually making and testing the weapons he wrote about, and through his various activities was instrumental in increasing the popularity of arms and armor in mainstream America. Hank Reinhardt was a widely known authority on medieval arms and armor and an icon of Southern science fiction fandom for over fifty years. He produced two videos with Paladin Press on the sword, and was a columnist for Blade magazine on swords in the movies. He was a cofounder of the mail order business Museum Replicas, Ltd. and a consultant to many sword makers. He received numerous awards for his work with bladed weapons, most recently the Industry Achievement Award given at the 2006 Blade Show in Atlanta.